Synopsis: The world of finance has been revolutionized in the last twenty years by factors such as the liberalization and subsequent integration of global financial markets and the advances in computing and communications technology. The important changes here have led to a stream of financial innovations and theoretical breakthroughs in the area of pricing diverse financial instruments. More than ever before, we witness a process where international securities are traded in a global marketplace. 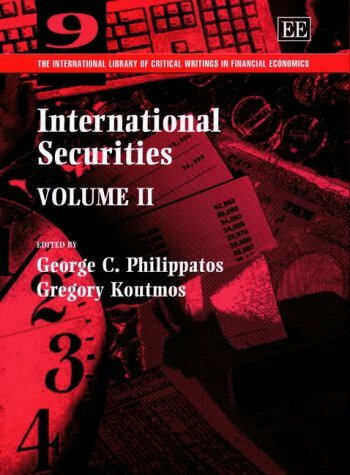 This comprehensive collection encompasses the most recent contributions in the area of international securities. It includes the most important articles on current issues and future development in this key area of international finance. It will be an essential source of reference to researchers, students and practitioners alike.